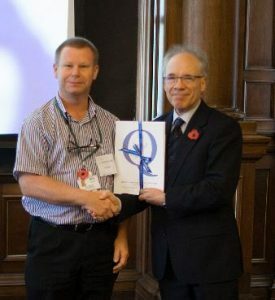 Last autumn, Tony Clapham (pictured left with our chair Lewis Ritchie) received the QNIS Postgraduate Academic Prize for the University of the Highlands and Islands. Thanks to some great media work by the team at UHI, Tony’s award was even featured across local press, based on this original release. 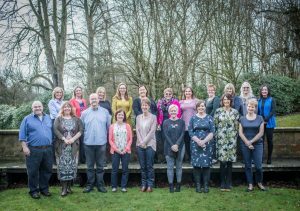 We always ask our prizewinners to write a little something for our website – a blog on their experience, a look at what their day to day work is like. When we asked Tony though, he upped the stakes and sent in his two published papers and gave us permission to put them online for your viewing pleasure!